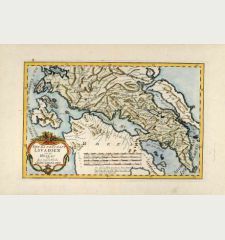 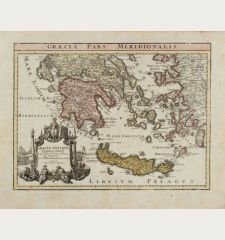 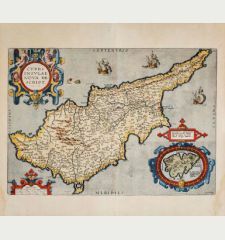 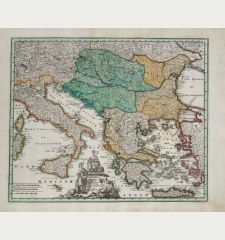 Antique map of Corfu. 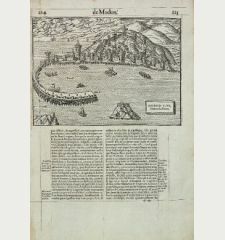 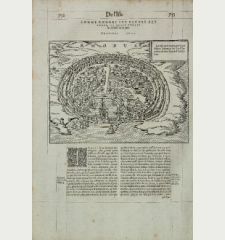 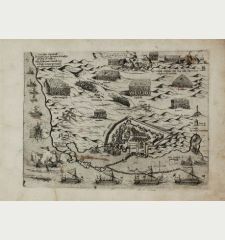 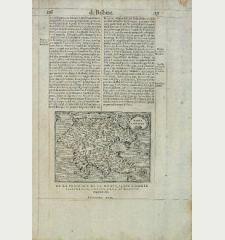 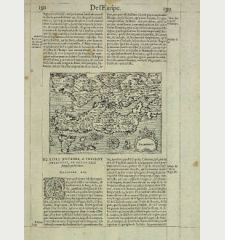 Printed in Venice by G. F. Camocio in 1571. 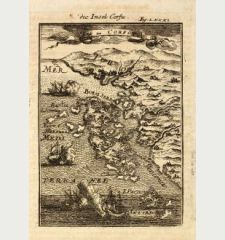 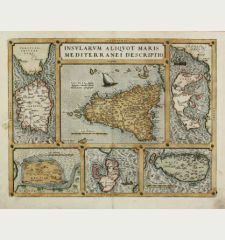 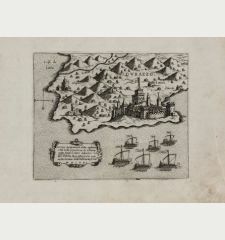 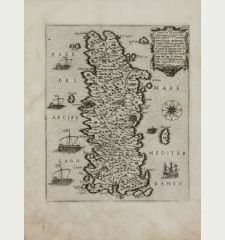 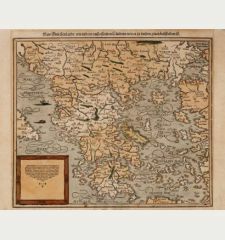 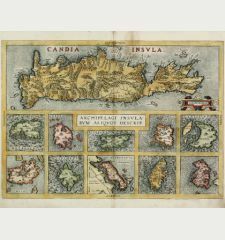 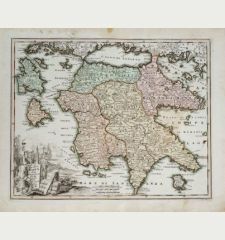 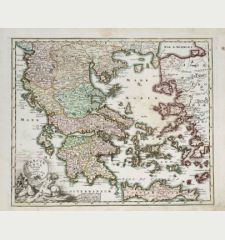 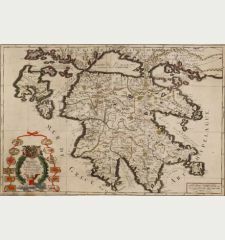 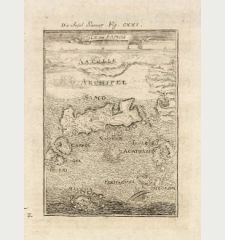 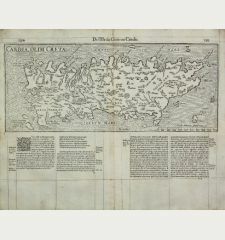 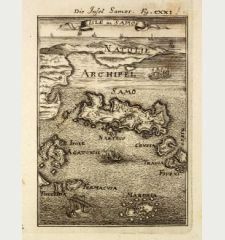 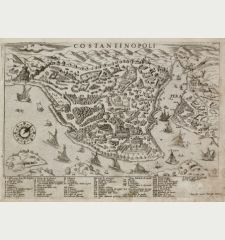 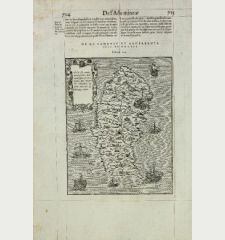 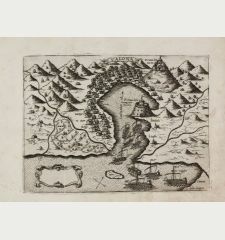 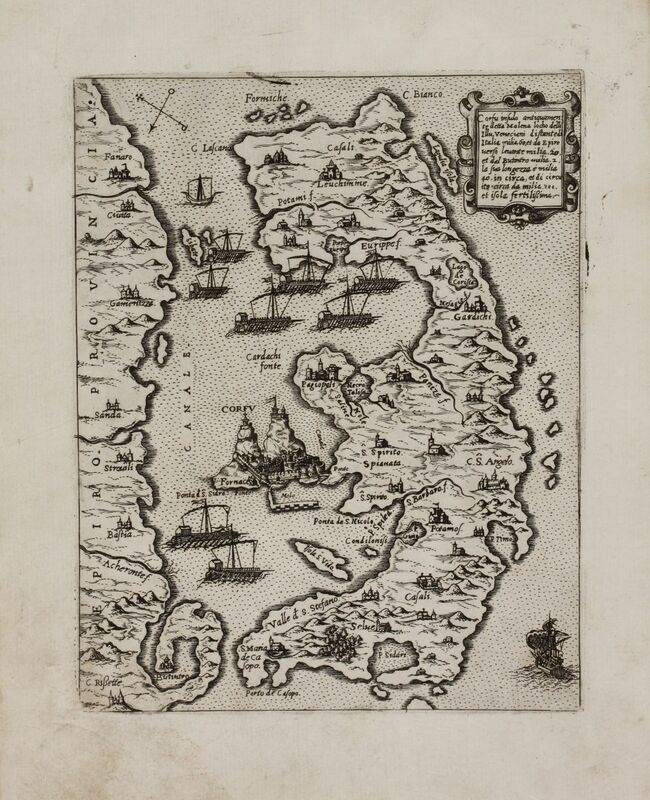 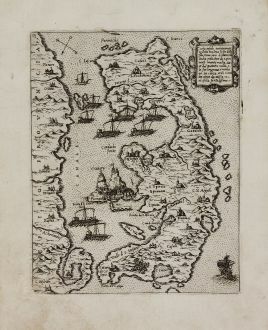 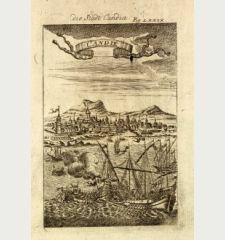 A very rare, early map of Corfu from Camocio's Isole Famose. 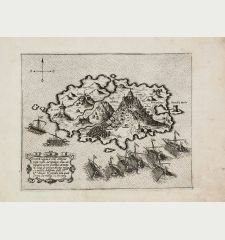 Showing the island surrounded by Venetian galleys with a nice renaissance cartouche and a compass rose. 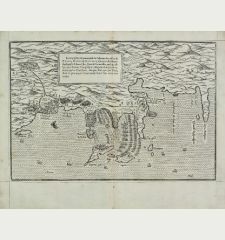 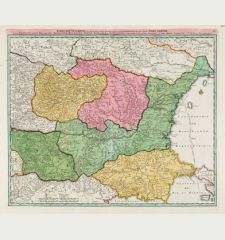 This copy is printed from the first state of the plate, without the number in the lower right corner. 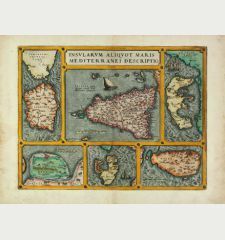 It is extremely rare to find this sheet on the market. 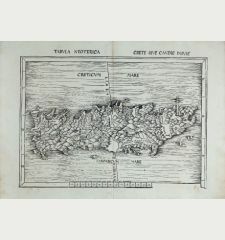 With original wide margin, which is rare, since sheets from Camocio's Isole Famose often cut along or within the plate marks. 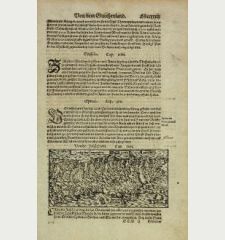 Some soiling and scribble by old hand in margins. 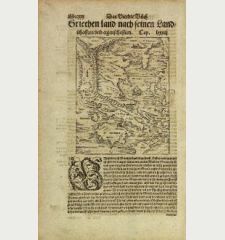 A very good copy with a strong impression.